Log in to your Linksys cloud account. Once the web interface opens, click Connectivity. NOTE: If you don't have a Linksys cloud account, click here for instructions on how to access your router's settings without logging in to a Linksys cloud account. Under the Firmware Update section under the Basic tab, click Check for Updates. Once the router detects a firmware update, you will be able to download and install the firmware on your device. Select the Click here link to upgrade. NOTE: If the No updates found message is displayed, it means that your router has the latest firmware version. On the Update firmware pop-up box, click Yes. Your router will start updating the firmware. IMPORTANT: During this process, do not power OFF the router or close the browser window to avoid corrupting the firmware of your router. QUICK TIP: In case you see a prompt to try again later, the server may be slow or not available for the moment. Try to upgrade the router again at a later time to resolve the issue. Once the firmware upgrade is complete, click Ok on the Firmware update complete screen. NOTE: If you don’t have a Linksys cloud account, access the router's web-based setup page by opening a web browser and entering "http://myrouter.local" or "192.168.1.1" in the Address bar and pressing [ENTER]. Under the Firmware Update section, check the box to enable the Automatic firmware update option. Once done, click Apply to save the changes. 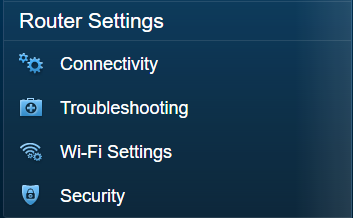 NOTE: On the Linksys Smart Wi-Fi Routers, the automatic firmware update feature is disabled by default. When online, the router will be able to detect available updates for you to apply on your device. Wait while the router reboots. This usually takes a few minutes. You should now have an updated firmware on your Linksys Smart Wi-Fi Router. QUICK TIP: For information regarding updated drivers for a particular operating system, you may refer to the Release Notes found in the Downloads tab of your Linksys device's product page.